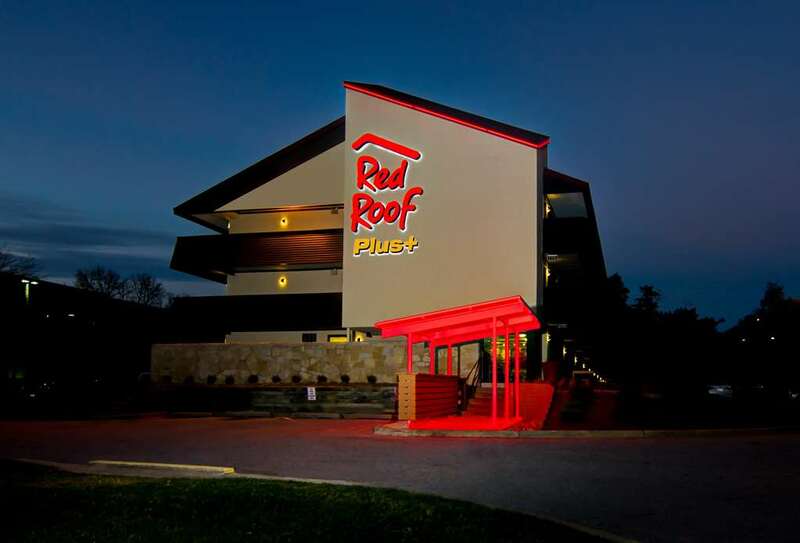 Red Roof PLUS+ Baltimore-Washington DC/BWI Airport is one of the best 100% smoke-free budget hotels in Linthicum Heights, MD that is minutes from I-195 and only one mile from the Baltimore-Washington International Thurgood Marshall Airport (BWI). We are near downtown Baltimore as well as Baltimores Inner Harbor and its world-famous crab houses. You can also find us close to B&O Railroad Museum, Babe Ruth Birthplace & Museum, Pimlico Race Course, Johns Hopkins Hospital and the Annapolis Boat Shows. We offer a complimentary shuttle service to BWI Airport, the Amtrak station and the Light Rail station (available MonFri 4AM1AM and SatSun 5AM12AM). Guests can also enjoy free Verified Wi-Fi and access to our guest coin laundry facility. Upgrade to one of our Premium rooms to receive a snack in your room! Red Roof PLUS+ Baltimore-Washington DC/BWI Airport is a pet-friendly hotel.